For The Woman Who Wants To Build A Strong Healthy Body With A Fierce Mindset To Go Along With It! Are you tired of living in a war zone? You know that feeling. Its the one where you are constantly dodging bullets, like forbidden foods, and feeling left out. Then when you do eat delicious food, you feel like you must punish your self with impossible workouts? So, once again you let the thought go, keep doing the same old workout, and walking around with a body you’re meh about all while craving to just give this a try. You are built to be competitive with yourself and try new and adventurous things, and you don’t want to watch life pass you by while you struggle with body satisfaction and self-love. In spite of your efforts, you do not make any progress and the scale won’t budge. This can be frustrating and ultimately make you feel like being healthy and fit is impossible… like many of my clients who come to me feel. But it’s simply not true. You think there is something special or unique about the women who have been able to achieve the level of fitness you desire. Like you, they had a desire to be better and made a decision to improve their quality of life through fitness inside and out. You see, we all know there are no two bodies alike. And did you also know, our lives and circumstances play a critical role in our success in living healthy and fit? But life can be unpredictable. If anyone would have told me I would marry my prom date, have 4 kids, a house full of pets, and become a professional figure and physique athlete in my 50’s. I would have laughed. Yet life has led me here. Along the way, I struggled with bouncing between diets and gaining back the weight. After years of this, I had enough and yearned for a consistent life where I felt good inside and out.I gave up the macro counting and extreme cheat meals in favor of freedom with responsibility and self-love from the inside out. Achieving a fit body can be a highly rewarding experience, yet it can really mess with confidence and self-acceptance. This proprietary results-driven one on one coaching program to balances nutrition, mental toughness, and training. Are you ready to find harmony in sustaining a balance between fitness, personal and family life, and occupational commitments? It’s time to stop juggling all the balls. Create a life where you feel good about yourself inside and out. Based on my struggles with losing and gaining the same damn pounds and feeling frustrated, I created an individualized one on one coaching system, based on my freedom with responsibility approach so that you too can end this battle. This one on one program will take you from being a serial dieter/cheater to a healthier happier person. Personalized one on one coaching is the best way to be successful long-term, keep your life manageable, and keep the insecure mental gremlins at bay. You know you can do it with the right coaching and right support, but where does one even begin? The thought of googling a coach makes it all seem way too overwhelming. You will become adept at habits and behaviors that help you live effortlessly at a healthy weight. You will learn how self-acceptance and self-compassion are a high priority. You will acquire a skill-set that allows you to go with the flow so that you don’t feel left out or guilty. You won’t have to start a new diet every Monday or after every vacation. You will learn how to manage real life whether at work or on a vacation getaway so that you can put an end to losing and gaining the same 10-50 pounds. It is possible to achieve this so that you can free up your willpower for other areas of your life. You will learn to believe in your heart and soul that you are doing your best, and you are enough. Get your mind right and your physique will follow. This program is exclusively for the committed woman who has a strong desire to feel good about herself from the inside out. “Working with Judy Arazoza has been a tremendous blessing. I’ve learned about a balanced diet and lifestyle as well as training like a champ while still being able to live my life as a wife and mother. Judy’s approach to the female body is sensible, knowledgeable and extremely compassionate. 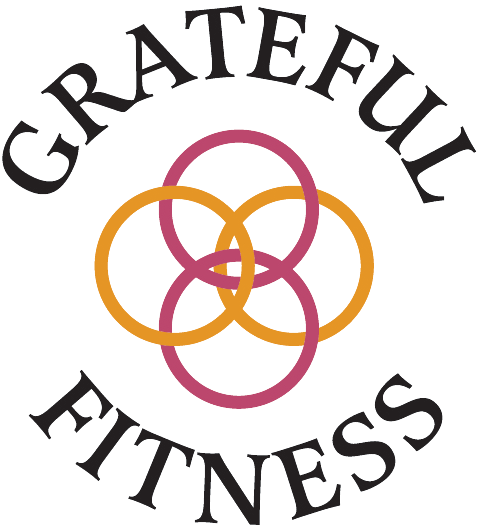 I continue to work with Judy as a coach for my own accountability as well as continuing my education and experience as a fitness professional for healthy, fit woman.” ~Laura H.
“Judy has helped me so much. It is about keeping the routine.” ~ Laura D.
“I am learning so much from you Judy Arazoza!!! I love your video and posts. I watch them multiple times so I don’t miss anything! “Prior to this (program with Judy), I jumped on A LOT of diet bandwagons. You name it, I probably tried it…. cleanses, strict restriction diets, pills, I used to commonly joke that my next step would be the coffee and cigarettes diet where I would just drink coffee and smoke cigarettes!!! ( I have never smoked) but I was trying to express how desperate I was!! Crazy, huh! Sooooo…. then came Judy. Here’s this woman who, let’s be honest here, is ripped, happy, and always seems to have all of this energy, says to the group “There are no restrictions “. What?! No restrictions?! What’s the catch, right?? Adopt new behaviors, identify your “Why”, consistency, and PATIENCE. She also shows you how to look at food as fuel, something to enjoy. ( it’s not the enemy) Learning to love yourself. Here’s the best part….. ignore the scale!! Through the process I identified my Why…. my 10-year-old daughter looks up to me as an example … I don’t want her to see me adopting unhealthy behaviors to be skinny as the ultimate result, skewing her body image in the process. Instead, she sees mommy being healthy, happy, strong and confident. Changing the way I look at my workouts. We’re not in our 20’s anymore so we shouldn’t be working out like a 20-year-old. Judy would send weekly workouts that were 20-30 minutes and were amazing and effective with minimal equipment. Book a 20-minute complimentary discovery call with me here to see if we are a good fit. Bi-weekly 30-minute live person to person accountability sessions by phone/facetime to keep you accountable and motivated. Habit change training so that you can be consistent once and for all. For people who are uncommitted to change. Together we will design a set of habits behaviors and food strategies so that you can keep your current lifestyle, and maintain your healthiest weight for good. Coaching Calls every other week.